In every organization, there are people who are positive forces that lead, inspire, and build and others who are negative forces that criticize, depress, and tear down. This dichotomy can be carried further to cover virtually any social group. This distinction is so clear that a cognizable argument could be made that most people can be grouped into one category or another. Which are you? In life, as in work, you will be faced with a decision of which group to join, and your decision will have a meaningful effect on your long-term success. Whether or not your workplace is composed mainly of builders or destroyers will also have a meaningful effect on your organization's overall success. The builder vs. destroyer dichotomy is perhaps most apparent in the legal community. Many studies have confirmed that lawyers, as a group, suffer more from psychological problems, such as depression, than other professions. Because the role of a destroyer is to criticize, depress, and tear down, there are likely to be a greater number of destroyers in the legal profession than in most other professions. In your own legal organization, whatever it may be, there will be people who rarely talk negatively about the organization and seek to contribute to it in an ongoing, positive way. These individuals will have kindred spirits and followers. Conversely, most legal organizations have people who are constantly dissatisfied with the organization and their jobs and share their feelings with anyone who will choose to listen. These people will also have kindred spirits and followers. Such groups are readily identifiable in most law firms. There are, of course, many good reasons for criticizing and finding fault with any institution. Some of this criticism may also be quite productive. In addition, anyone who is constantly operating under the belief that everything is rosy and perfect in his/her organization may be operating more under the influence of a delusion, or a very strong dose of antidepressants, than an understanding of reality. If you consider the various aspects of your life-such as your recreational activities, your love life, and even your family-you will find that the majority of your concentration is not on these things, but on your job. This is especially so for most lawyers. Because your job plays such a fundamental role in your existence, if you do not like your job, you are not going to enjoy life. Presumably, you want to enjoy your job, and because your enjoyment in life is fundamental to your satisfaction in your work, it is important to decide whether or not you will. In your job, there are going to be constant and ongoing temptations to become critical of your organization and adopt a negative attitude. Destroyers will also, directly or not, try to get you to join them in their negativity and constant criticism. This is something you are, of course, free to do. You need to understand, however, that by joining the negative/destroyer crowd and adopting its party line, you are not only going to be doing yourself a disservice, but you will be doing your organization a disservice as well. Few people who adopt this rationale ever find happiness in either their professional or personal lives. In the high-stress environment of being a legal professional, it is a very easy outlook to adopt. Make sure that before you adopt this outlook, you know exactly what you are doing. It may seem odd to discuss psychiatric disorders in an article about finding happiness and fulfillment in the legal profession. Notwithstanding, mental illness is something that affects a lot of people. Because psychiatric disorders are so prevalent, it is important to be aware of them. Most builders tend not to have any psychological issues. Conversely, most destroyers may be quite depressed and suffer from a variety of psychological problems. One research study surveyed 801 lawyers in the State of Washington and found that 19% of the respondents suffered from depression and 18% were problem drinkers. (G.A.H. Benjamin, E.J. Darling & B.D. Sales The Prevalence of Depression, Alcohol Abuse, And Cocaine Abuse Among United States Lawyers, 13 Journal of Law and Psychiatry 233 (1990)). Because there was a 5% overlap in these groups, close to one third of this sample had a significant mental health problem. Similarly, a Johns Hopkins University study found that of 28 occupations that could be compared in a statistically valid manner, lawyers were most likely to suffer from depression and more than 3.6 times more likely than average to do so. (W.W. Eaton, J.C. Anthony, W. Mandel & R. Garrison, Occupations and the Prevalence of Major Depressive Disorder, 32 Journal of Occupational Medicine 1079 (1980)). The same study concluded that the legal environment is particularly conducive to stress-related disorders due to the stress it produces and other factors, such as work complexity and the amount of work attorneys have to do. While these statistics may not seem all that significant-or even applicable to you-you need to understand them if you work in the legal profession. These are the people you work with, regardless of your role in the profession. Because so many attorneys are suffering from mental difficulties, try as you may, you will have a very difficult time avoiding people who are depressed in your legal career. The world of a BP, like that of a child, is split into heroes and villains. A child emotionally, a BP cannot tolerate human inconsistencies and ambiguities; he cannot reconcile another's good and bad qualities into a constant coherent understanding of another person. 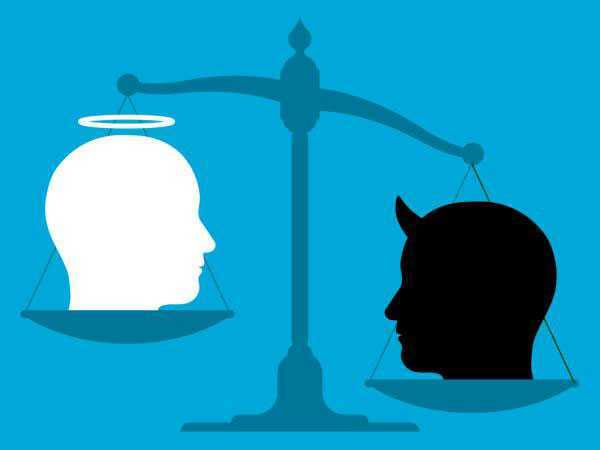 At any particular moment, one is either Good or Evil. There is no in-between; no gray area...people are idolized one day; totally devalued and dismissed the next. Normal people are ambivalent and can experience two contradictory states at one time; BPs shift back and forth, entirely unaware of one feeling state while in the other. When the idealized person finally disappoints (as we all do, sooner or later) the borderline must drastically restructure his one-dimensional conceptualization. Either the idol is banished to the dungeon, or the borderline banishes himself in order to preserve the all-good image of the other person. Splitting is intended to shield the BP from a barrage of contradictory feelings and images and from the anxiety of trying to reconcile those images. But splitting often achieves the opposite effect. The frays in the BP's personality become rips, and the sense of his own identity and the identity of others shifts even more dramatically and frequently. In my role as a legal recruiter, I am constantly speaking with people who have held a number of jobs over a short period of time. In each job this person takes, he/she entered the position with an idolized vision of the employer. Then, as always, something occurs that makes him/her hate the employer, and he/she then feels an urgent need to find a new employer. This pattern will repeat itself as many times as a new employer is willing to hire the person. In personal life, this same characteristic may manifest itself in someone who moves from one romantic relationship to another and another and another. The process is never-ending. In understanding the role of destroyers, it is important to understand the importance of work to your day-to-day happiness. When we look at the neurotic and severely troubled in this society, we most often are looking at those who do not work. Whether it be the poor beggar, the lunatic, the rich man's son, or even the common criminal-most of these people can be defined by an inability to work. The right to and ability to work is often bound up in happiness, and the denial of work is often defined by a troubled psyche. In discussing the destroyer mentality, it is important to realize the way it may define an individual inside the legal profession and the group as a whole. Discussed below are the effects of an individual destroyer mentality and those of a group destroyer mentality. Recognizing both is essential for your long-term success in the legal profession. Whether it is because they are depressed, suffer from borderline personalities, or have simply adopted the views of other negative people inside an organization, there are individual destroyers inside every legal environment. Because we believe the people inside the organization like us. I am sure you can find many other reasons why people may join a particular legal organization. There are certainly just as many reasons why people leave organizations as reasons they join them. When you join a legal organization, you will generally have several reasons for doing so, many of which you will share with others inside the organization. The reasons you choose and give for joining a particular organization are generally reasons that are particular to you. Life is quite confusing, and because of this confusion, people generally adopt certain rationales to justify everything they do and their outlooks towards the world. Certain people simply justify their interactions with the world based upon their ways of seeing things. When you join any legal organization, you are going to have a certain rationale for doing so that makes you comfortable and feel good about what you are doing. "This is busywork. It is better to pay someone to solve the problems for you than to be the person paid to solve them. Besides, most of these clients are dishonest anyway." "The pay is okay, but if you look at how much money you are making per hour based upon how many hours you are working, you could probably make more money selling BMWs in an auto dealership. Besides, we make nothing compared to so and so inside the firm, company, etc." "There is no security here. So and so was fired for absolutely nothing. No one here has any security at all. Everyone here is unhappy. I would not be surprised if this place closed any day." "Did you hear about what happened with client X? I am surprised that a lot of attorneys here have not been disbarred yet." "The word on the street about this place is not really that good." "Do you know how difficult it is to make partner here? Even if you make partner, it is not worth it because X, Y, and Z." "How can you possibly like all the people here? You know X, whom you thought was your friend? She said that you were X, etc. You cannot trust anyone here." "People may think it is sunny here all the time, but most lawyers in other areas of the country do not take attorneys from here seriously." "How could you ever raise a family in New York? It's too expensive, crowded, dirty, etc." "I bet you thought you were going to get a lot more of X type of work when you joined here, didn't you? They tell everyone they'll get that type of work when they join, and it never pans out." "Are you kidding? I'm your friend, and I can tell you that you can get a much better, higher paying, more prestigious job than you have working here." "So and so is a loser. He is not half the attorney, legal secretary, etc., that you are. Did you hear what X said about him?" "The important thing is whether the right people here have confidence in you. Are you really sure that is the case?" "I heard that so-and-so is cheating on his wife with his secretary." "It's good that we at least have each other." The individual destroyer does not require much analysis because you certainly already know who he/she is in your organization or can recognize him/her just from the brief discussion above. The individual destroyer will often come to you acting as if he/she is offering a sympathetic ear and then serves to invalidate everything that you feel is positive about your particular organization. This person is doing nothing to help you. In fact, this particular person would likely be doing the same thing in any organization of which he/she were a part. Whatever his/her criticisms are, he/she would likely be present (albeit, in a different form) in any organization. His/Her methods may even have a competitive element because by making you unhappy with your role-and invalidating the things you like about your job-you may leave the organization and make room for him/her. First, if you are around people who are depressed, they are going to share their feelings with you. They are going to tell you why they are depressed and unhappy. Second, if you spend your time associating and fraternizing with depressed people, you will very soon come to see the world as they do-as a depressing place. Because most of your conversations with these people will be in a professional setting, much of the depression they speak about will likely be attributed to where you work. Third, because humans are social animals, you will likely agree with these people, sympathize with them, and hence be granted by them the privilege of continual association. Fourth, over time, you may become quite like these people with respect to your outlook on your organization. Fifth, your performance and enthusiasm for your job will decrease, and you will begin to feel depressed about your job. Sixth, you will begin looking for a new job and then move on to another organization where the perceived problems with the organization do not exist. Seventh, this same cycle may continue to repeat itself over and over again with each successive employer. The above analysis may sound quite extreme. However, scarcely a day goes by in my job as a legal recruiter where I do not see this sort of pattern being played out in some form or another in the careers of the attorneys and others I speak with. Depression and criticism of an organization is contagious, and the people who are constantly finding fault with their organizations do cause the organization harm and harm the careers of those around them who adopt their views-no matter how benign a series of gripes may at first appear. In order for a law firm or any legal organization to succeed, the destroyers cannot outnumber those who truly believe in the organization. A good argument can be made that most failed law firms failed because they had too many destroyers. For example, firms like Finley Kumble and others ran into serious trouble when they began hiring partners aggressively at the lateral level. Because most of these partners [presumably] were unhappy with their existing organizations when they moved to these firms, a good argument can be made that the law firms hired too many "destroyers." The ongoing success of firms like Wachtell Lipton Rosen & Katz, Latham & Watkins, and others, it can be argued, is a result of not hiring destroyers at an aggressive level laterally. Similarly, the problems of some firms can be attributed to the merger of a firm of unhappy destroyer lawyers with another. The point is this: Once the individual destroyers have a certain critical mass, the group destroyer mentality will take over. At that point, the organization is in serious trouble. Healthy legal organizations do their best not to hire destroyers in the first place and to recognize destroyers for what they are. Nevertheless, because destroyers are often difficult to recognize-and their methods may be subtle-they inevitably become part of any legal organization. The job of any healthy organization is to flush out destroyers so that the organization can function effectively and the people working there will be happy. Once a destroyer is identified, a good legal organization will try to change the views of a destroyer. If the organization cannot change the views of a destroyer, it will do its best to ensure that he/she leaves. What a destroyer inevitably leaves behind are other people who have been persuaded to adopt a similar destructive point of view and outlook towards the organization. Good legal organizations are not stupid. They will remember whom the destroyer associated with closely and watch these people. If the organization believes they are also destroyers, that organization will do its best to rid itself of them as well. The organization has to do this because its very well-being depends upon doing so. One point of this article is this: Do not become a destroyer. The second point is this: Do your best to distance yourself from destroyers. The destroyer will do you harm in both how you feel about your job and, by extension, how your employer thinks of you as well. There are a lot of unhappy people in the legal profession, and your objective should be to not become one of them or associate with them. Because work is such an essential component of life, if you allow others to make you unhappy in your job, you will not only become unhappy in your job, but in your life as well. Realize that no organization-and I mean no organization-is perfect or ideal, and do your best to find the positives and ignore the negatives, and you will do just fine. In order to succeed in a legal environment, you must be constantly perceived as a builder and not a destroyer. Once someone adopts the outlook of a destroyer, no matter how far he/she looks, he/she may never find an environment he/she is happy with.